На странице представлен выбранный Вами товар Cosco - Cosco Simple Steps Interactive Baby Walker, Silly Sweet Tooth Monster. 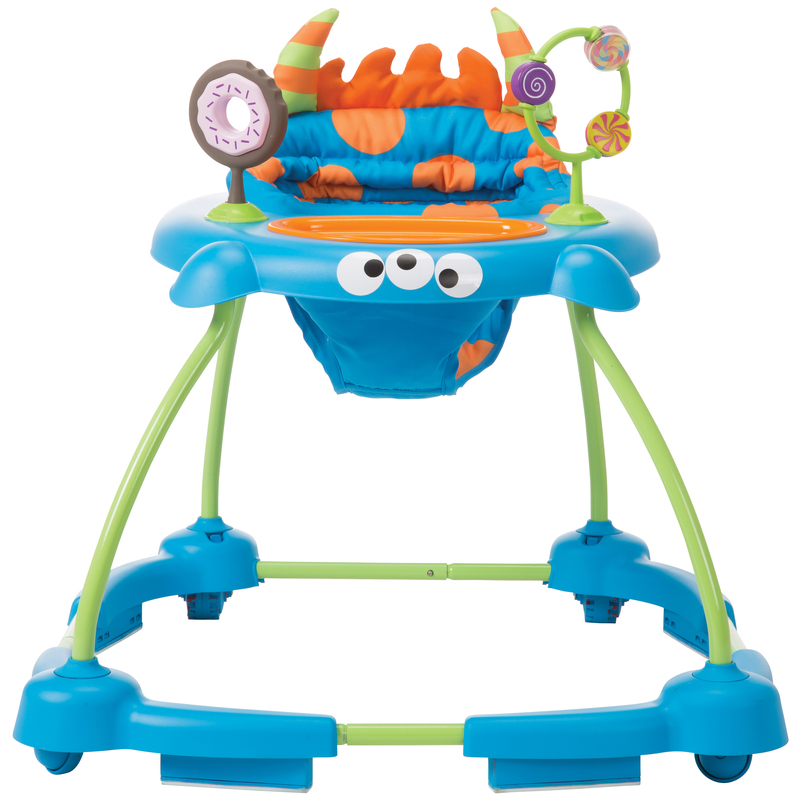 A happy monster brings sweet fun to the Cosco Simple Steps Walker. The spinning candies and doughnut look delicious, but will cause no cavities. These toys are great for helping little hands learn to grasp and grab. The insert tray is perfect for snack time and fits easily into the top rack of your dishwasher for quick cleanup. With kids, messes happen, but the machine washable and dryer safe seat pad make them simple to take care of when they do. The walker features two different options that let you adjust to the right height as baby's little legs grow longer. It's also easy to store the Simple Steps Walker away or take it along for the ride when traveling. Baby Value provides FREE shipping to street addresses in the continential United States. Baby Value does not ship to Alaska, Hawaii, other US territories, or P.O. Boxes. Baby Value will accept your return within 30 days. Our returns process is simple. Contact our team and we will issue you an RMA number to identify your return. Baby Value does not pay for return shipping, it is the responsibility of the customer. Baby Value will pay to ship a replacement product to you. Include all original packaging and accessories. Baby Value does not accept returns of items purchased through any third-party, including its retail partners. Baby Value charges sales tax for the following states: Arizona, California, Georgia, Indiana, Massachusetts, Missouri, South Carolina, Texas and Washington.